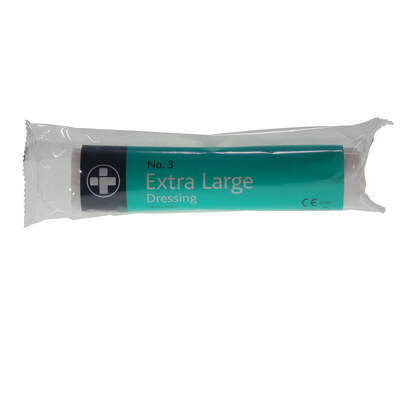 Ideal for use in offices, nurseries and care homes alike, our Sterile Wound Dressing Extra Large is a suitable addition to your First Aid Kits. Each one has a non-adherent and sterile design that promises not to leave fibres within the wound being protected. They come with an extra long and fast edged conforming bandage for quick application with a unique package design that ensures the user will not need to touch the pad when applying the dressing. Perfect for emergency first aid tasks, this wound dressing overs excellent coverage for a range of minor injuries. Our First Aid collection has been stocked with helpful products for every work environment. From our Medium Dressings through to Sterile Eye Pads and Microporous Tape, you'll find every replenishment that your kit is missing.